Home to painted skies, talking statues and more than 160 specialty shops and restaurants, The Forum Shops at Caesars Palace is recognized worldwide as the premier luxury retail destination in Las Vegas offering an excellent location and a fantastic array of sought-after shops and restaurants all in a picturesque Roman-themed atmosphere. Perfectly situated at the heart of the famous Las Vegas Strip, adjacent to Caesars Palace, this shopping center proudly welcomes more than 28 million visitors annually. To meet the needs of a global guest, there are more than 25 languages spoken within the shopping center's retailers and concierge center. The Forum Shops is home to some of the world's most celebrated retailers. Stores include Salvatore Ferragamo, Louis Vuitton, Giorgio Armani, Dior Beauty, Mulberry, Christian Louboutin, Tod's, Kate Spade New York, Tiffany & Co., David Yurman, Michael Kors, Balenciaga, Versace, Gucci and Jimmy Choo Restaurants include Joe's Seafood, Prime Steak & Stone Crab, The Palm•Las Vegas, Sushi Roku, Il Mulino New York, Carmine's NYC's Family Style Italian Restaurant, Planet Hollywood Restaurant & Bar, Trevi Italian Restaurant, The Cheesecake Factory and Border Grill. Whether you plan on shopping at The Forum Shops at Caesars Palace for a day or staying in the area for a mini vacation, you'll love the endless attractions that are readily available to you and your family. 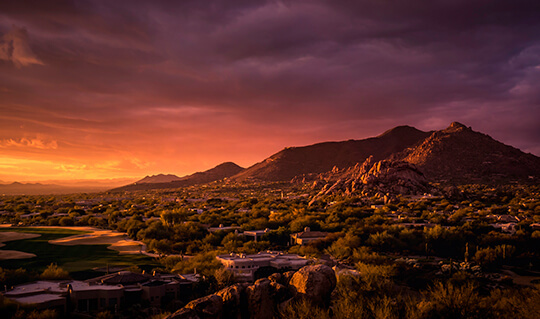 Head to Red Rock Canyon, featuring a one-way 13-mile scenic drive, and recreation opportunities like hiking trails, wildlife, vegetation, geology, cultural resources and much more. The facility also offers a book and gift store. Or, try out a Helicopter Tour. Enjoy the "Entertainment Capital of the World" from the best view possible - the sky. Experience the most popular Grand Canyon tour. Fly over the Hoover Dam, Fortification Hill an extinct volcano and many other breathtaking sights as you land in the Grand Canyon. Savor the flavor of the area and choose from a wide variety of local dining options for all ages just down the road from the shopping center. No matter what your tastebuds are craving, you're sure to find exactly what you're looking for close by. Enjoy award winning restaurants that offer shoppers choices for every palate. World-renowned seafood, American cuisine, Asian fusion, upscale Italian and classic steakhouse flavors all contribute to a well deserved culinary reputation. 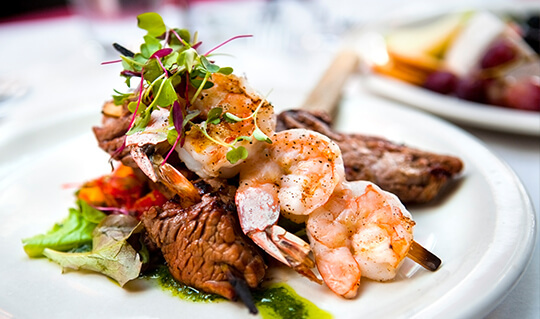 Local favorites include Carmine's NYC's Family Style Italian Restaurant, Il Mulino New York, Joe's Seafood Prime Steak & Stone Crab, The Palm, Trevi Italian Restaurant, Border Grill, Planet Hollywood Restaurant and more. Designed to accommodate stage shows of all varieties, including the world-renowned Caesars' headliners, The Colosseum seats an impressive 4,298 with no seat farther than 120-feet from the stage and is equipped with state-of- the-art audio and visual elements, including one of the largest indoor high-definition LED screens in North America. With superstar talent and events, such as Celine Dion, Jerry Seinfeld, Elton John and Rod Stewart, The Colosseum hosts the best entertainment in the world. Looking for luxury in Las Vegas Nightclubs? Omnia Nightclub always features world-renowned special guest DJ's, your evening out in the world's most electrifying city will be unforgettable. 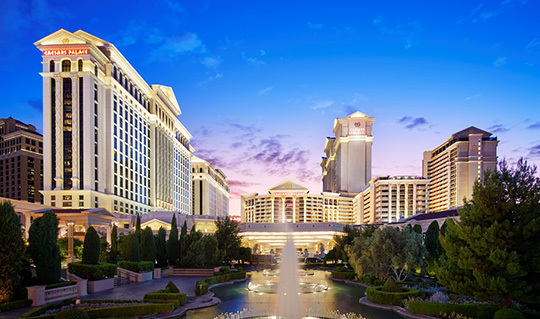 If you're interested in making The Forum Shops at Caesars Palace your next vacation destination, there are a wide variety of accommodation options to choose from for everyone, including the leisure traveling family, the girls for a weekend of fun and even business travelers. The grandest of Las Vegas Hotels, Caesars Palace, is famous worldwide for its magnificent beauty and impeccable service. 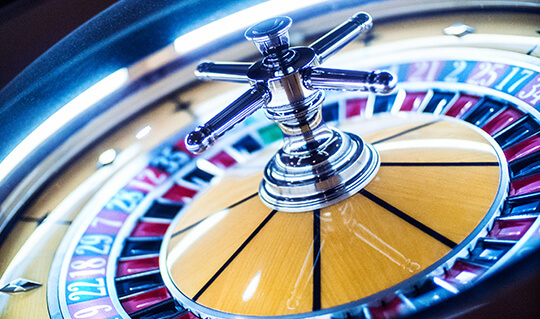 At Caesars Palace you will find more than 129,000 square feet of casino gaming space on the Las Vegas Strip, including everything from high limit slots to your favorite table game. The Garden of the God's pool offers the most spacious, luxurious and stately collection of exclusive watering holes, decadent cabanas and palatial sunbathing spots. Qua Baths & Spa is a refuge inspired by the baths of ancient Rome. A place that provides an experience like no other.